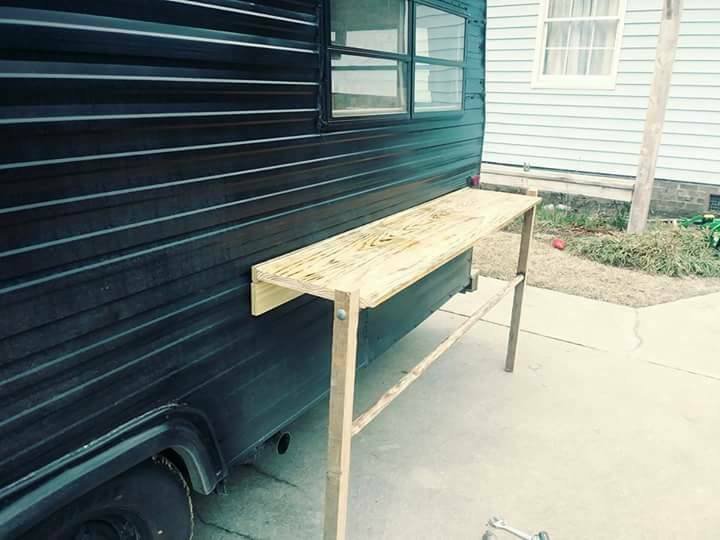 Every capable carpenter needs a good shop, preferably on wheels. But where is the fun in just purchasing a ready made, run-of-the-mill work horse? Not this carpenter, we did our shop like we do all our projects...custom. 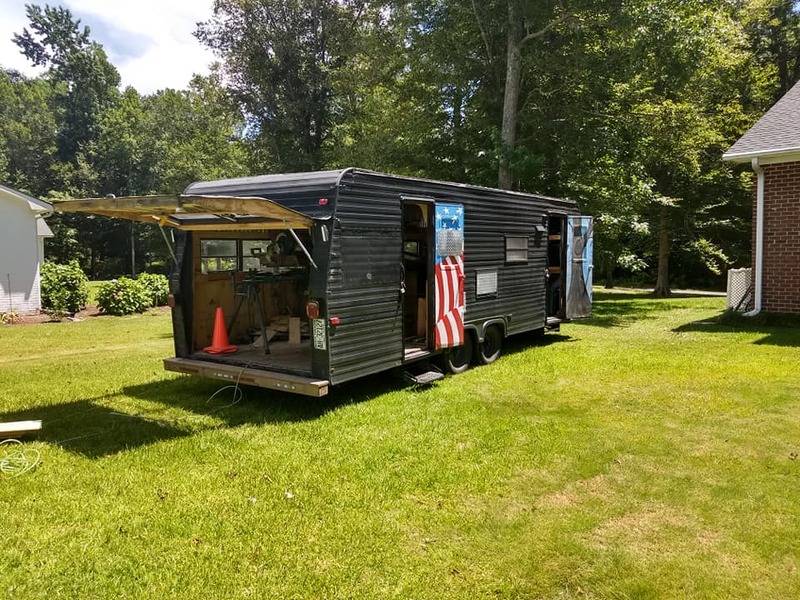 We allocated this ragged-out old camper from a guy in Rocky Mount, NC and proceeded to convert it into a road worthy, fully functional carpenter's shop. 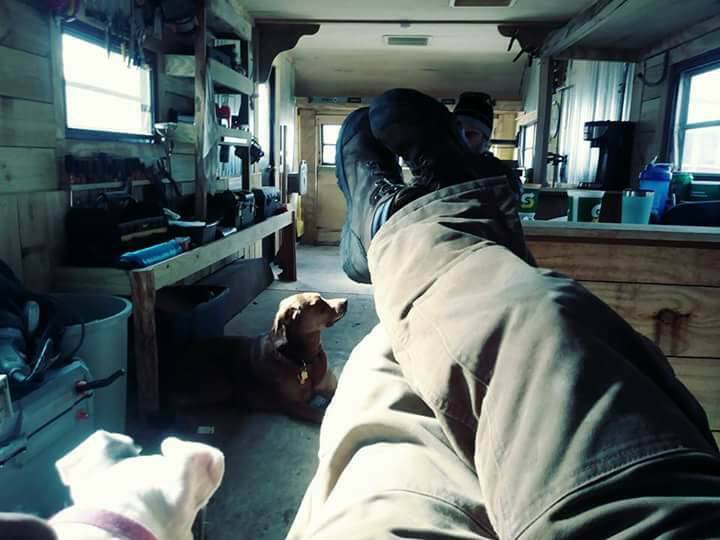 The "Dogghouse" comes equipped with electric, tons of storage, lights, retractable extension cords, an air compressor, chop and table saws, a work bench, a generator, a cool submarine style hatch (just for fun), and custom build hose reels. But the coolest feature of the whole shop is the cut-in rear hatch we "installed". It allows us to easily load lumber, ATVs, or any assortment of toys or materials we could need. Even if we aren't, we are in the Dogghouse!